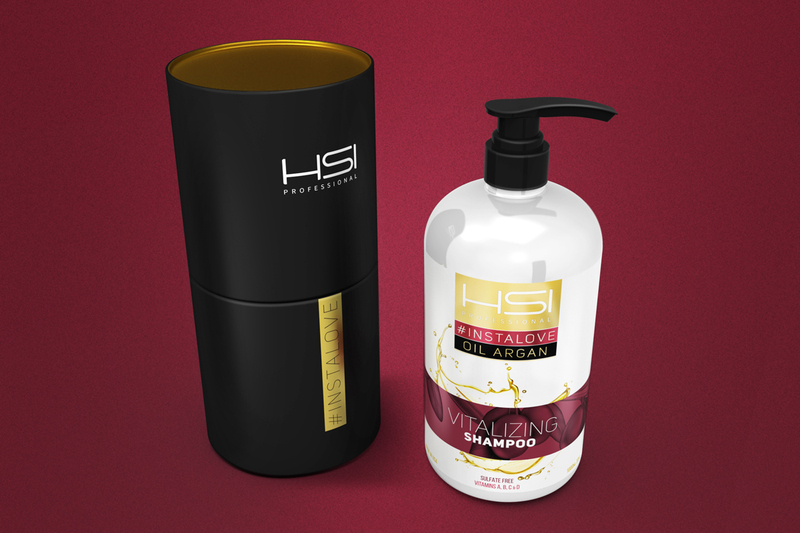 Creative Agency: HeadMade Design & Co.
Headquartered in Florida - USA, HSI Professional is a brand specializing in hair care products. 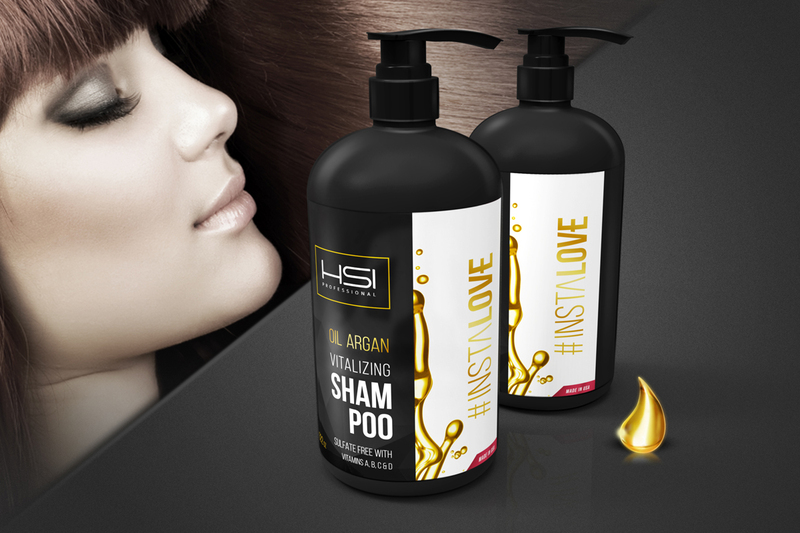 Its shampoos family with Argan oil needed a new face that would suit both salon professionals and end consumers. 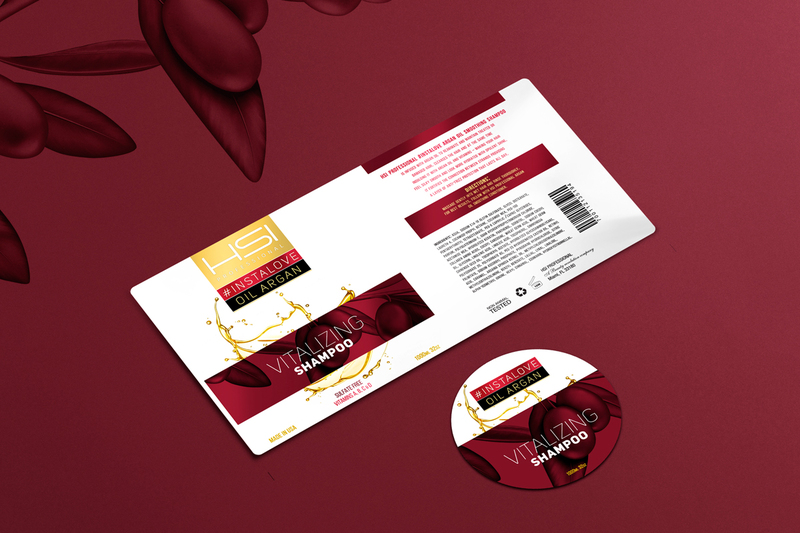 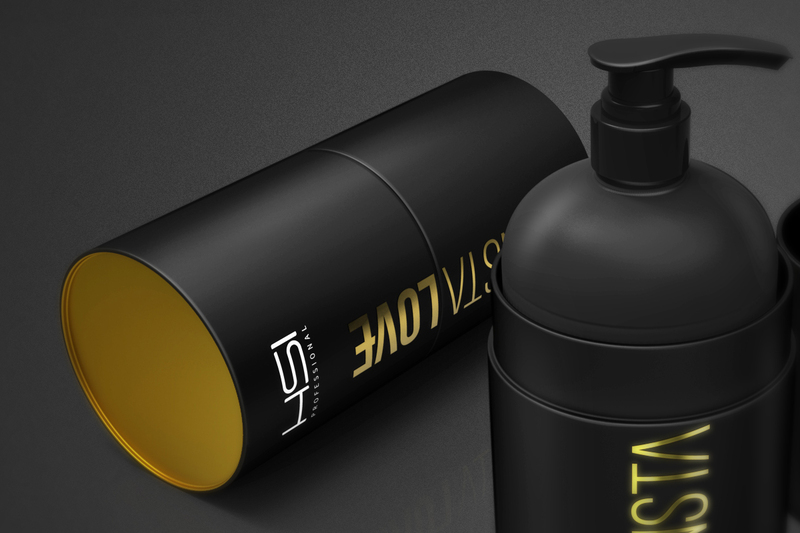 Thus, a project was developed for the new bottle label, as well as the inclusion of a product case for the professional class. 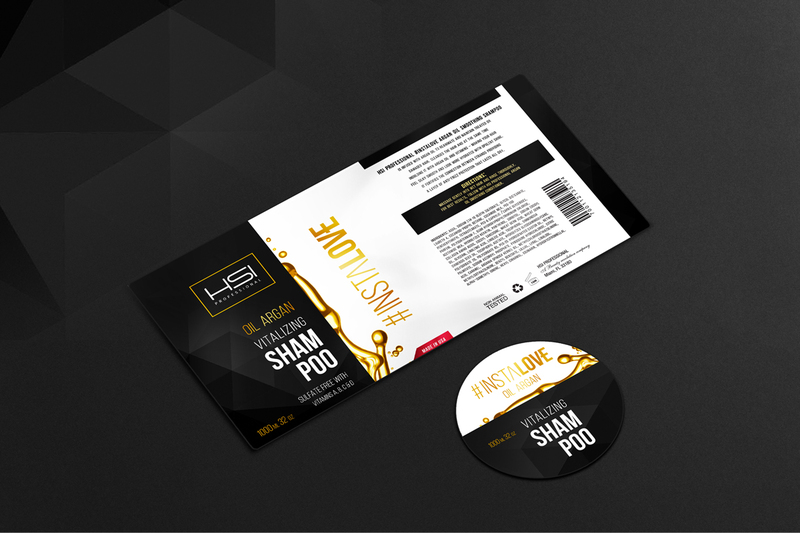 With modern language, metallic finishes and sober colors, two art proposals were developed. 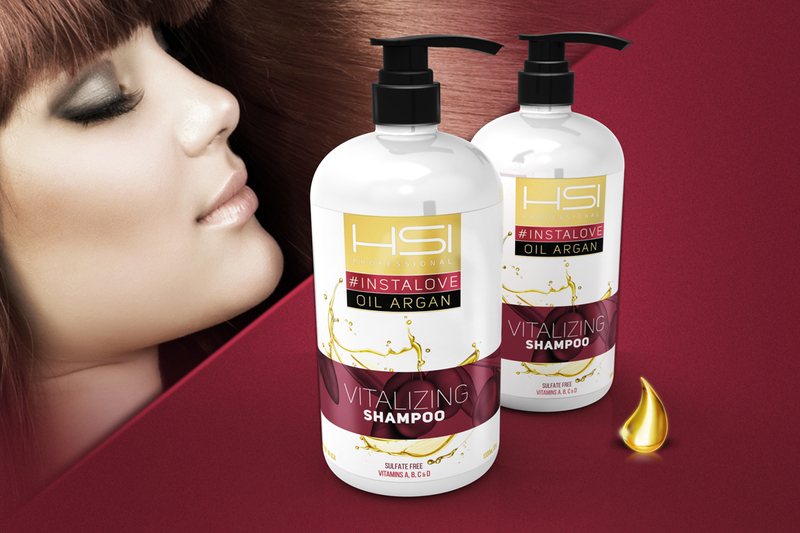 In both, there was the concern in portraying the importance of the oil, popularly called gold of Morocco. 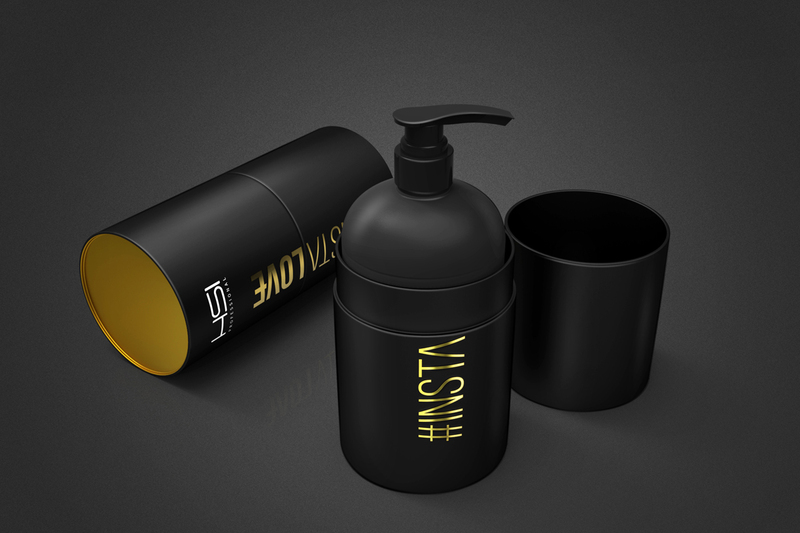 With splashes of oil and the use of gold in details of the label, added the feeling of preciousness of the product. 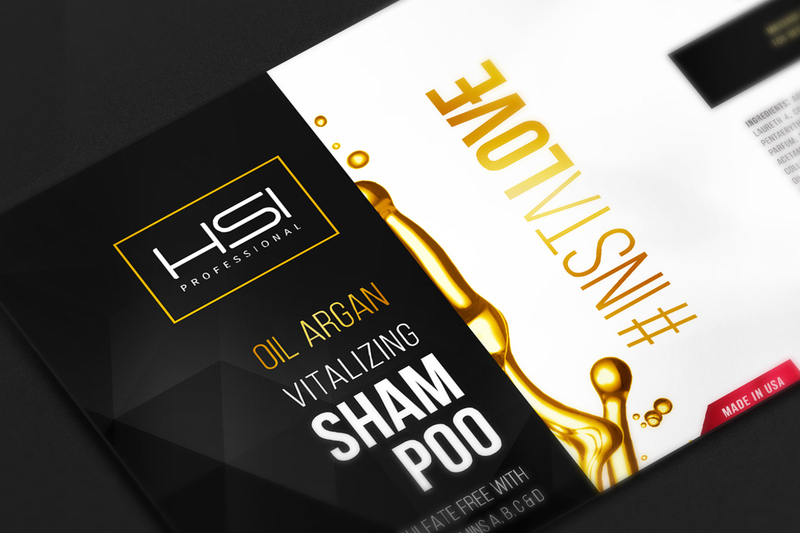 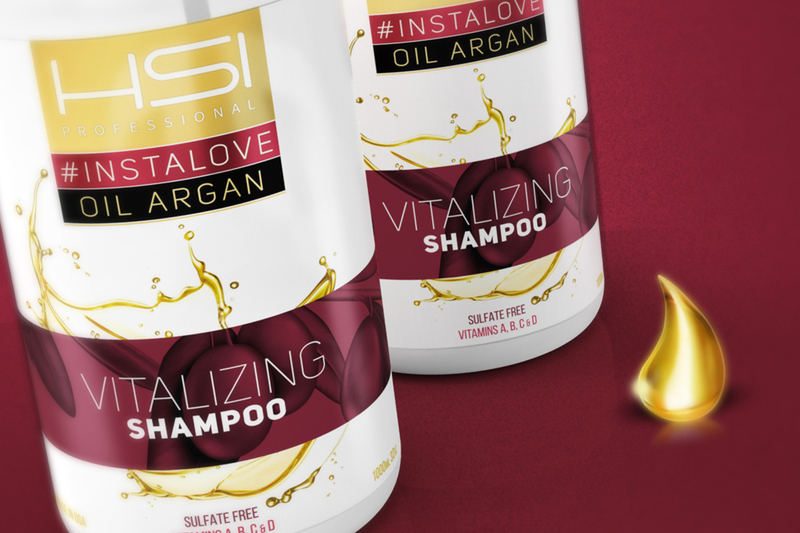 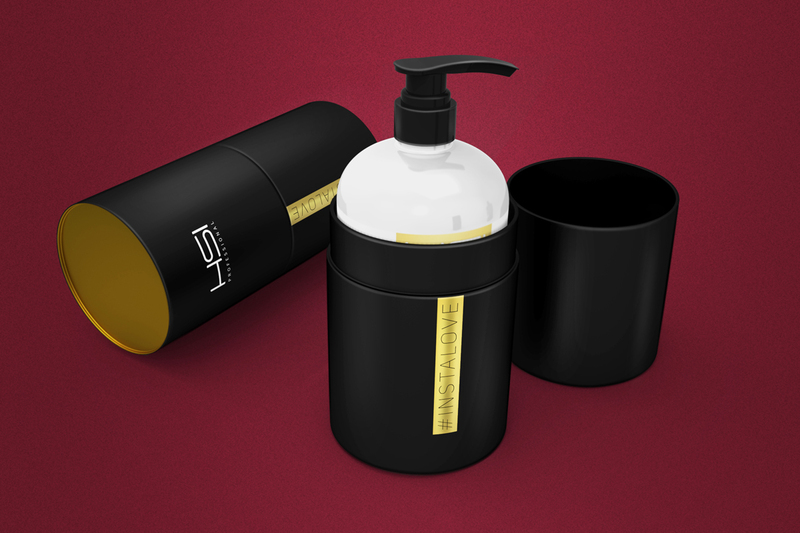 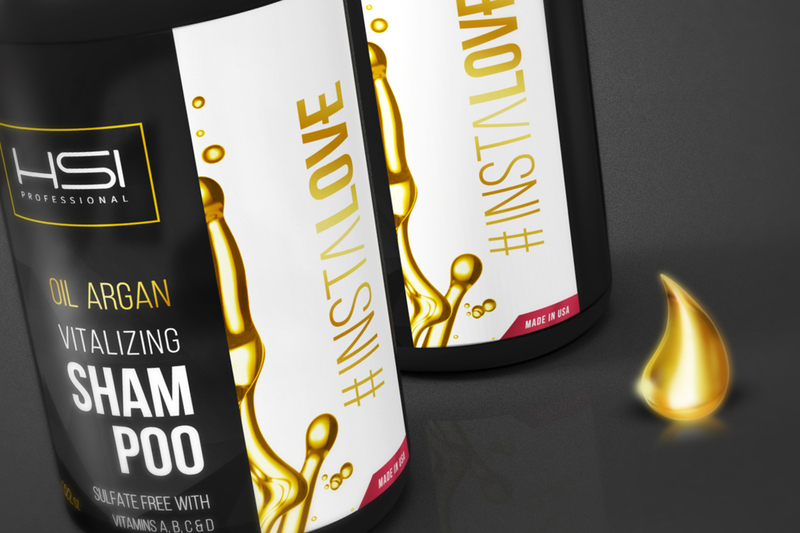 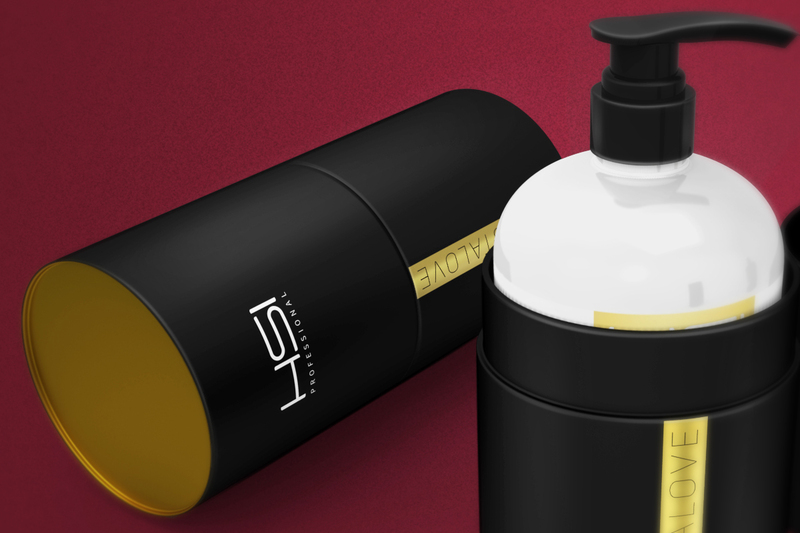 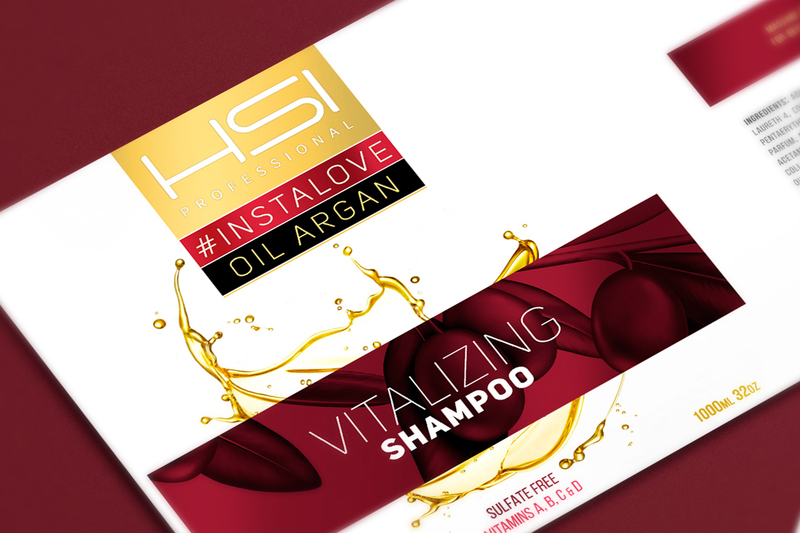 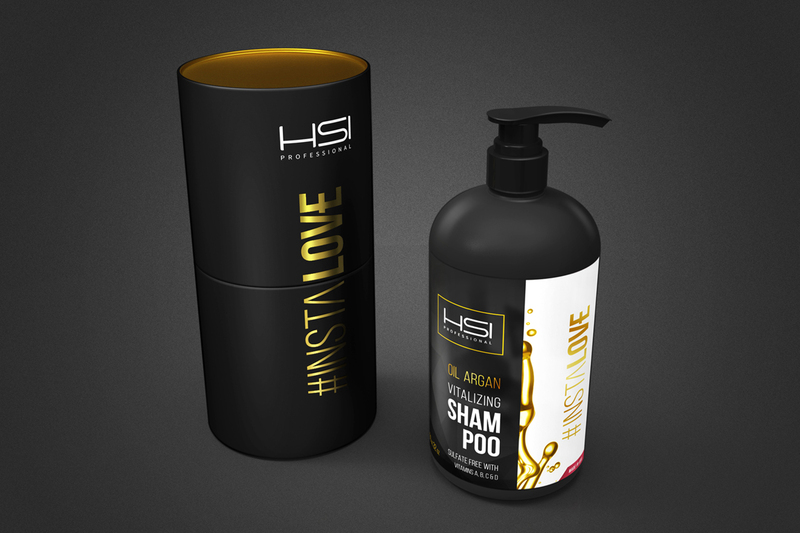 Two letterings were created for the name of the shampoo - #instalove -, highlighted in hotstamping in the products cases, thus complementing the perception of value added of the product.